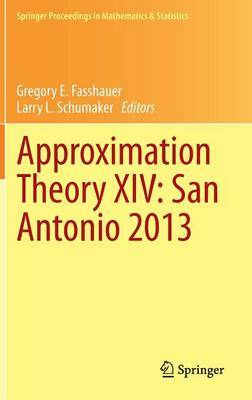 These proceedings were prepared in connection with the 14th International Conference on Approximation Theory, which was held April 7-10, 2013 in San Antonio, Texas. The conference was the fourteenth in a series of meetings in Approximation Theory held at various locations in the United States. The included invited and contributed papers cover diverse areas of approximation theory with a special emphasis on the most current and active areas such as compressed sensing, isogeometric analysis, anisotropic spaces, radial basis functions and splines. Classical and abstract approximation is also included. The book will be of interest to mathematicians, engineers\ and computer scientists working in approximation theory, computer-aided geometric design, numerical analysis and related application areas.